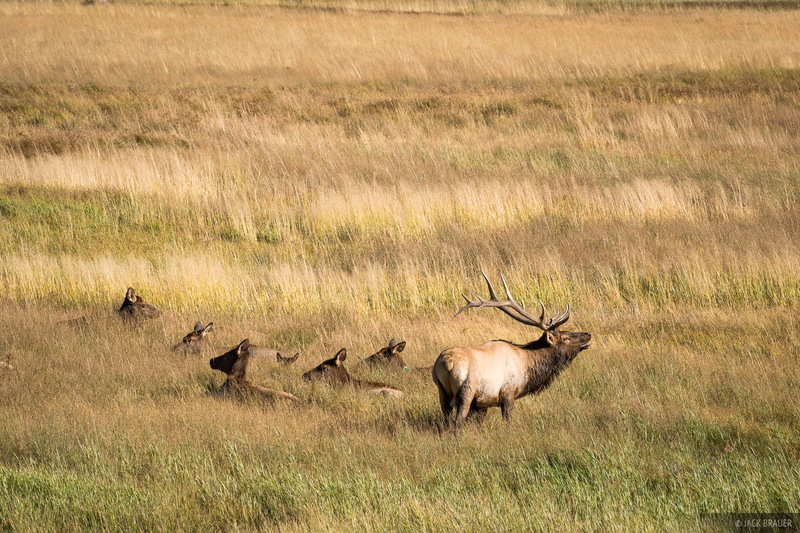 A bull elk and his harem in Moraine Park in Rocky Mountain National Park during the autumn rut. We spent two nights camped in the Moraine Campground listening to the elk bugling all night long. Amazing!